The wrestling team won the 5A East Conference Championship this past Saturday. All 14 wrestlers placed in the top 3, making them all-conference, and 8 of those were conference champions. 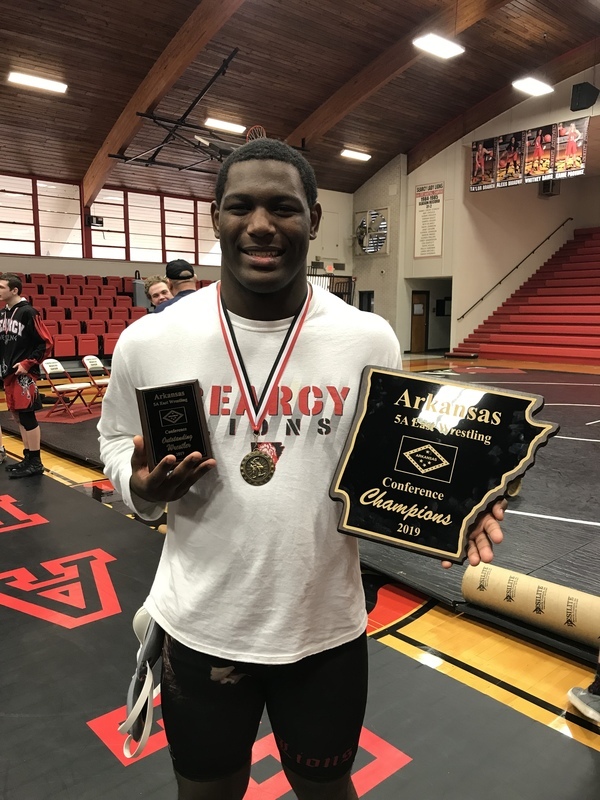 Demaceo Whittier also won the Outstanding Wrestler award for the upper weight division. The following are the individual medalists for each weight class. Thank you all for the support you have given us this season. State Championship tournament is next at the Jack Stephens Center on the campus of UALR on February 22nd and 23rd.